ANAHEIM, Calif., April 20, 2012 -- More than 10,000 of the world's brightest middle school, high school and university students, educators and mentors from nearly 20 countries, will compete in the 2012 VEX Robotics Competition World Championship. The event is free to the public and will be held at the Anaheim Convention Center on April 19-21, 2012. Northrop Grumman Foundation is a first-time sponsor of the program, and Northrop Grumman employee volunteers are donating time and expertise onsite during the competition. The VEX Robotics Competition, presented by the Robotics Education and Competition (REC) Foundation, is in its fifth year appeals to today's intensely competitive generation of students. The competition represents the perfect storm of applied physics, mathematics, computer programming, digital prototyping, integrated problem solving, teamwork and leadership. The 2012 VEX Robotics Competition World Championship serves as the final competition of the season. This year, 600 out of the nearly 5,000 VEX Robotics Competition teams from around the world earned the right to bring their robotic creations to face off in the robot ring with their toughest competitors playing the 2011-2012 season game VEX Gateway. 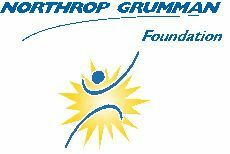 "The Northrop Grumman Foundation is pleased to sponsor the VEX Robotics Competition. This exciting competition continues to inspire, motivate and prepare kids for a future in science, technology, engineering, and mathematics education and prepare them for related professions," said Sandra Evers-Manly, president of the Northrop Grumman Foundation. "We are committed to helping prepare students to become the next generation of scientists, technologists, engineers and mathematiciansâand the talented innovators entering the workforce of tomorrow. "We are also proud to have dedicated Northrop Grumman colleagues participating in this year's VEX Robotics Competition as volunteers, assisting thousands of students from around the country," said Evers-Manly. The REC Foundation is a 501(c) (3) nonprofit organization, supports robotics and technology events and programs that aim to inspire and motivate students to advance in STEM education. In addition to supporting competitions for some of the world's leading robotics platforms and organizations including VEX, TSA, BOTBALL and BEST, the foundation also provides program support and workshops focused on technology and professional development for educators â including the RobotEvents.com community portal website which helps promote multiple high quality programs and provides online registration and event pages for hundreds of events around the world. VEX Robotics, Inc ., a wholly owned subsidiary of Innovation First International, is a leading provider of educational robotics products to middle schools, high schools and colleges around the world. The VEX Robotics Design System, winner of the 2006 Best of Innovations Award at CES, was built from the ground up and designed to be an affordable, accessible and scalable platform used to teach science, technology, engineering and math education worldwide. The company has over 250 man years of experience supporting educational robotics programs and extensive engineering resources on two continents dedicated to the VEX Robotics platform. For more information on the VEX Robotics Design System, visit www.vexrobotics.com .